From January 2018 we will no longer be closed over the lunch time and will remain open until 6pm on a Wednesday. If you need to see a doctor on the day you call us, you will be booked in with the Duty Doctor. There is a different doctor on call each day of the week. If you wish to see a specific doctor about an ongoing problem, you will have to wait until the next available appointment for him/her. The doctors do try to keep to the appointed time you have been given. However, we regret that doctors sometimes run late. We are trying to prevent this happening too often. Clearly there may be occasions such as emergencies, which inevitably lead to delays in seeing you. Please be patient with us. If you have been waiting more than 20 minutes, please let the reception desk know. You should not forget to “check in” at reception on your arrival, as this is a common reason why patients have not been called at their appointment time. Another common reason for delays in being seen is if patients bring a “shopping list” of problems to ask the doctor. Whilst your doctor wishes to help you as much as possible, it is unfair on other patients to take up more than your allotted appointment time of 10 minutes with a number of different complaints or questions, and it may also result in you not getting the level of attention you need for each individual problem. For this reason, we urge you to rebook another appointment rather than prolong your doctor’s appointment beyond your allocated 10-minute slot, wherever practicable. Thank you. Appointments are between the hours of 08.00 – 13.00 & 13.45–18.00 (Monday to Friday). Except on Wednesdays where we have early closing at 5pm. In addition we have two extended hours sessions for pre-bookable appointments only. Tuesday and Wednesday Morning 06:45 - 08:00. Following feedback from the recent patient questionnaire, the Surgery will be running a new 'walk-in/Doctor Who? clinic' on Monday mornings 11.00-12.00. This will be on a first come first seen basis- but you must contact the Surgery to be added to the appointment list, as the number of appointments allocated are limited . Please telephone requests before 10:30 am if possible. This will enable the doctors to plan their house visits and avoid delays. DO THINK CAREFULLY BEFORE USING THIS FACILITY as it uses a lot more of the doctor’s time. We strongly encourage you to attend the surgery whenever possible, as we are able to examine you, and investigate you much more effectively from our surgery than in your home. You may NOT request a home visit for transport reasons alone; we will ask you to book a taxi if this is the reason for your request. Any patients over the age of 65 or who have a chronic disease such as Diabetes, COPD, Heart Disease and Kidney Disease are entitled to have their seasonal flu vaccination. It is also highly recommended that patients who are pregnant receive the vaccine. In 2018 we are going to try something new!!! We will also be holding a walk in clinic early October and no booking for those is needed. Due to stock issues this year - The walk in clinic is only for patients under the age of 65. To Patients 65 and over - we are due another supply that day so please book an appointment after 2nd October or phone to see if we have received our delivery. Thank you. We an internet system that will allow patients to book and cancel appointments online. In addition to this they can request repeat prescriptions. We now have over 1200 patients using this system and have had great feedback. If you think this service would be of benefit to you, please ask at the surgery for the necessary form. You will need to bring your passport (or other photographic identification) with you to collect this form. YOU WILL NOT NOTICE ANY DIFFERENCE - YOU CAN CONTINUE TO CHOOSE WHICHEVER DOCTOR YOU WISH TO SEE. 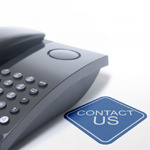 If you have any queries please phone us to discuss. We are working in collaboration with other Surgeries in the Redditch and Bromsgrove area to offer additional appointments during the week until 8pm and also at certain times over the weekend. Gps from Cornhill Surgery will be covering some of these appointments - Please be aware that these appointments may not be at your usual Surgery. If you require an appointment outside of our usual hours, please ask at Reception.